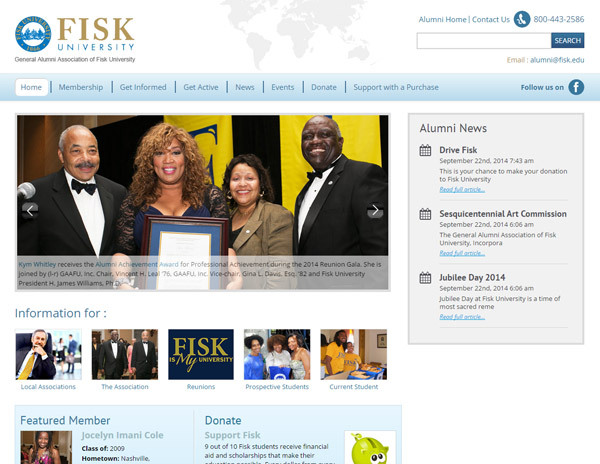 3PRIME designed and built a responsive, WordPress-based website for GAAFU – General Alumni Association of Fisk University, a historic black college in Texas. This non-profit alumni organization has a number of regional clubs in areas such as Dallas Fort Worth and Houston. 3PRIME’s contribution involved creating a mobile-ready website for GAAFU, based on a customized WordPress theme.